A corporation’s annual report helps provide shareholders a glimpse into that company’s overall performance and financial effectiveness. Strategic analysts use this information to measure profit and loss as well as help forecast a company’s financial health by examining the significant data and financial ratios that are provided from these reports. Roth (2008) explains their purpose simply in that the job of a company’s annual report is to share their story as a unified message (Roth, 2008). To better comprehend a company’s financial health from their corporate annual reports, the focus of my ongoing research efforts throughout this six week journey will examine the various components contained within these financial tomes to help determine whether a company is sustainable or not. As an example to illustrate these concepts step-by-step, my analysis will include an ongoing examination of the 2007 Annual Report of the troubled Eastman Kodak Company – the photo imaging firm that was established in the late 1800s by George Eastman. To help present a clearer picture of the company’s activities and overall functionality, the study will draw information from the financial statements to evaluate such elements as assets, liabilities, and stockholders’ equity to help determine Kodak’s viability as a business. The findings of this research will disclose how the data obtained from the company’s annual report reveals significant information that can help strategists determine, plan, and forecast the firm’s overall performance and financial health. The true nature of a company’s image can be ascertained through a comprehensive analysis that is provided by their annual reports. Fraser and Ormiston (2010) purport that in order to comprehend how to navigate through the vast amount of data provided in the annual reports, familiarity with accounting is helpful (Fraser & Ormiston, 2010). For the purpose of this research, to better understand where the Eastman Kodak company was headed, it is important to first understand how they emerged as a major player in the photo imaging industry. 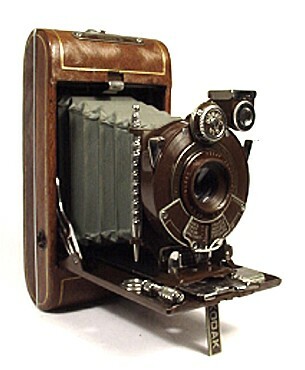 Kodak initially became successful when they introduced their first camera, a small easy-to-use device with film that took up to 100 photos. Soon after, they added the home movie camera, film, and projectors to their product line. By the early 1930s, Kodak dominated the marketplace when they introduced and released an innovative component called Kodachrome, a new technology that added the richness of color to their film products in 1935 (Eastman Kodak Company, 2013). This was a hugely successful entrepreneurial maneuver, one that secured their position at the top of their industry. Since that time they continued to expand with additional imaging technology items and services they added to their product line including inkjet printers, digital photo frames, printing kiosks, online imaging services, and scanners, to name a few. For many decades Kodak enjoyed enormous success and dominated the marketplace. However, over confident leadership, poor strategic planning, and a complacent attitude may have been the cause of their slow demise. Part two of this post will dive further into what may have caused Kodak’s financial problems and examine their report to give us clues. (2008). Eastman Kodak Company 2007 Annual Report. U.S. Federal Government, Securities and Exchange Commission. Washington: Securities and Exchange Commission. Mattioli, D., & Spector, M. (2011, October 25). Eastman Kodak Seeks Rescue Financing. The Wall Street Journal, 4. Snyder, P. (2013). Is this something George Eastman would have done? New York, NY: CreateSpace Independent Publishing. you will be a great author. I wull be sure to bookmark your blog and will come back sometime soon.